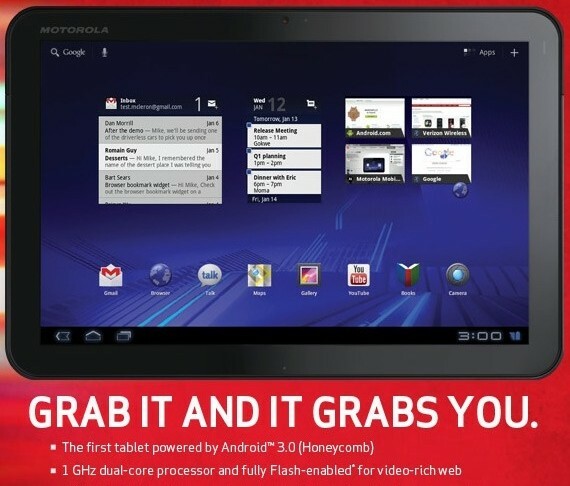 Contrary to reports floating about the web, the Motorola Xoom isn't getting Adobe Flash Player 10.2 today -- rather, the tablet is getting updated to support Flash which will actually arrive in one week. Adobe now says that a beta of Flash Player 10.2 will be ready to download from the Android Market on March 18th, supporting only Honeycomb tablets (in other words, just the Xoom) to start, and will eventually be available for Android 2.2 smartphones -- again, contrary to what we'd been told, but we can't really complain on that count. Froyo devices won't get the full battery-friendly Stage Video rendering pipeline and deep browser integration like their Honeycomb tablet brethren, but dual-core phones will reportedly see a performance improvement nonetheless, and there's a new tweak that'll let Flash web apps pull up a virtual keyboard if needed for full functionality. PR after the break. Flash 10.2 beta hits Android Market on March 18th, only supports Honeycomb at release originally appeared on Engadget on Fri, 11 Mar 2011 11:47:00 EDT. Please see our terms for use of feeds. Swedish appliance giant Electrolux is commissioning a series of restaurants to temporarily sit on top of famous buildings and mountains in Europe. Yes, the idea is insane and no, we have no idea how they got permission to do this. 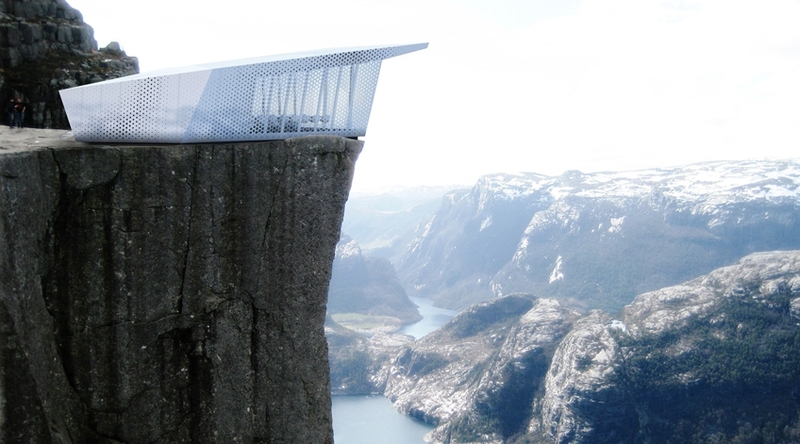 Designed by the Italian architects Park Associati, the Cubes will feature a laser-cut aluminum skin, a dining room for 18, and a 538-square-foot terrace that affords stunning views of the surroundings. The first Cube opens April 1 on the arc of the Parc du Cinquantenaire (above). Then it'll move on, along with a companion Cube, to Italy, Russia, Switzerland, and Sweden. We're dying to know how Electrolux got permission to do this (or who they had to sleep with). The point? Like most pop-up shops it's a marketing scheme. The kitchen will come equipped with Electrolux appliances, on which chefs will whip up what the press release bills as a "show-cooking service." "Electrolux" will be emblazoned on the wall, if the renderings here are any indication, turning the whole thing into a big, shameless billboard (ick). But with the majestic scenery all around, we reckon people will hardly notice. 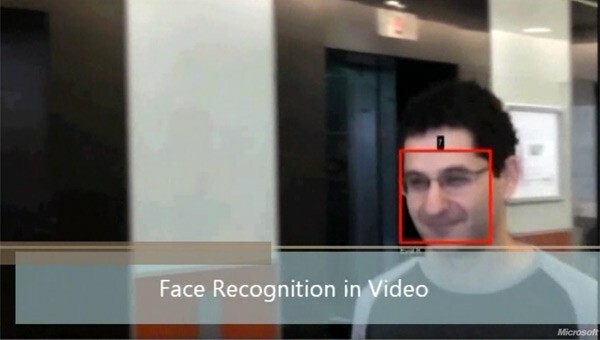 Microsoft's OneVision Video Recognizer can detect, identify, and track your face on video... so smile! Here's your classic case of "just because you can, doesn't mean you should." Microsoft's Innovation Labs have just demonstrated a OneVision Video Recognizer algorithm that's powerful enough to perform face detection duties on a running video feed. It can recognize and track humanoid visages even while they're moving, accept tags that allow auto-identification of people as they enter the frame, and can ultimately lead to some highly sophisticated video editing and indexing via its automated information gathering. Of course, it's that very ease with which it can keep a watchful eye on everyone that has us feeling uneasy right now, but what are you gonna do? Watch the video after the break, that's what. Continue reading Microsoft's OneVision Video Recognizer can detect, identify, and track your face on video... so smile! Microsoft's OneVision Video Recognizer can detect, identify, and track your face on video... so smile! 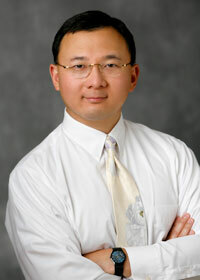 originally appeared on Engadget on Fri, 11 Mar 2011 10:19:00 EDT. Please see our terms for use of feeds. Why, it was only yesterday that we were eyeballing a dual-GF104 board from Galaxy, presuming it an artifact of a 2010 project that went nowhere, but there's at least one NVIDIA partner that's going to deliver exactly such a creation, and soon at that! EVGA has just set loose the details of a new GTX 460 2Win graphics card, which ticks along at 700MHz, has 672 cumulative CUDA cores served by 2GB of GDDR5, and reportedly collects more 3D Marks than NVIDIA's finest card out at the moment, the GTX 580. The company also gleefully reports that pricing of the 2Win model will be lower than the 580's. It's interesting that NVIDIA is opting for a pair of the older-gen GF104 Fermi chips here, but then again, those have been big winners with critics and price-sensitive gamers alike, with many touting the use of two GTX 460s in SLI as a more sensible solution than the elite single-card options. Well, now you have both, in a manner of speaking. Skip past the break to see EVGA's latest in the flesh. EVGA GeForce GTX 460 2Win has 'double the win,' becomes NVIDIA's first dual-Fermi graphics card originally appeared on Engadget on Fri, 11 Mar 2011 02:37:00 EDT. Please see our terms for use of feeds. While Democrats and Republicans squabble over the future of the incandescent light bulb, a Livermore-based company has produced an LED that they claim could lead to brighter, more affordable solid state lighting. By growing gallium nitride on low-cost silicon wafers, as opposed to the typical sapphire and silicon carbide substrates, the company has achieved an output of 135lm/W (lumens per watt) with a color correlated temperature of 4730K-- brighter than any affordable LED lighting solution we've ever seen. Of course, this isn't the first time efficacy of this level has been achieved, and we've yet to see a practical application, but if Bridgelux's numbers are right, this could mean a 75 percent cut in LED production costs. The company expects the technology to make its way to real world lights in the next two to three years -- perhaps by then the furor over pigtail light bulbs will have settled a bit. Enlightening PR after the break. 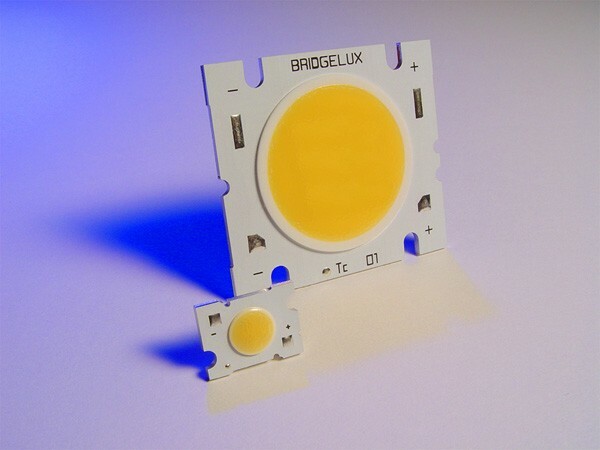 Bridgelux silicon LED could mean bright future for solid state lighting originally appeared on Engadget on Fri, 11 Mar 2011 00:44:00 EDT. Please see our terms for use of feeds. 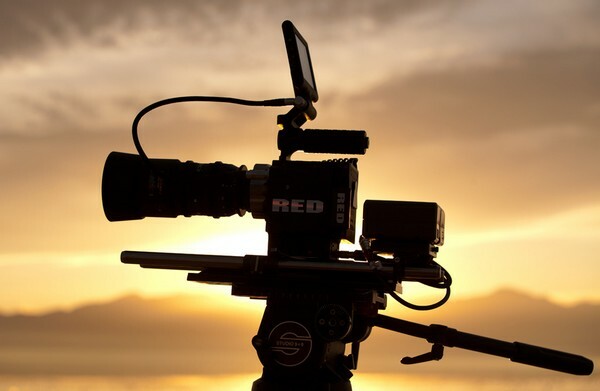 RED EPIC shoots birds at 96fps, no dog needed to retrieve them (video) originally appeared on Engadget on Thu, 10 Mar 2011 10:02:00 EDT. Please see our terms for use of feeds. The satellite imagery used in Google Earth is captured in 2D. The terrain that it covers is rendered in 3D. Sometimes those disparate layers don't line up, and sometimes those results can be quite compelling. 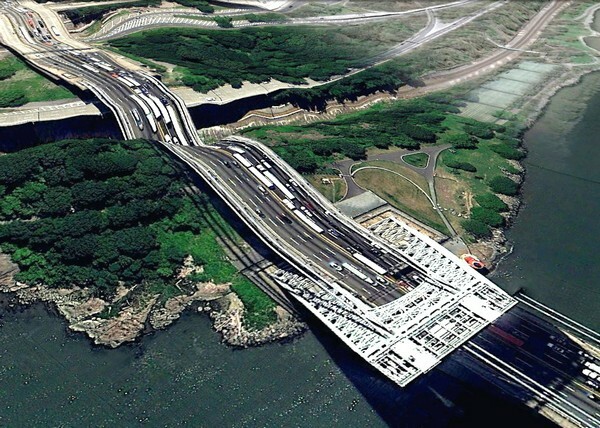 Artist Clement Valla has collected some of the most striking examples in an online gallery called "Postcards from Google Earth, Bridges." It's 60 images from around the virtual globe, pictures that are occasionally janky, occasionally boring, but often quite moving in a Salvador Dali sort of way. Our favorite is above, but feel free to share yours in comments below. Clement Valla's Postcards from Google Earth blend 3D with 2D, look freaky originally appeared on Engadget on Thu, 10 Mar 2011 09:40:00 EDT. Please see our terms for use of feeds. It isn't exactly the hottest hybrid we've ever seen, Porsche's ludicrous 918 RSR still takes that crown, but the Veritas RSIII Roadster Hybrid is certainly no wheezy commuter. It's a tiny, open-topped racer that features a 507HP V10 from BMW that's been paired with a 105kW motor to spin the front wheels. It's much the same arrangement of the Porsche, again relying on a KERS flywheel to generate electricity that's stored in a Li-ion battery pack, which can also be charged separately. The car can actually limp around for up to 31 miles powered by just that front motor, but when both sources of thrust are called upon the sled gets to 62MPH in 3.1 seconds, as fast as a 911 Turbo S, and it'll keep on going until the speedo hits 205 -- or the car hits something immovable. No word on price or availability, but there is a version with a roof coming this summer, and a fully-electric model due in 2013. 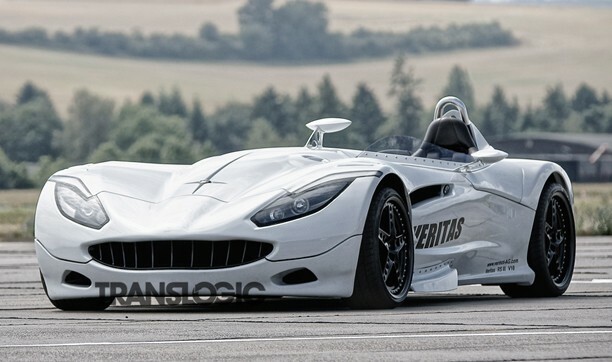 Veritas RSIII Roadster Hybrid melds plug-in tech with 600HP originally appeared on Engadget on Wed, 09 Mar 2011 18:32:00 EDT. Please see our terms for use of feeds. To say Apple's iPad 2 is an easy tablet to review is somewhat of an understatement. The device, a follow up to last year's wildly successful (and currently market-defining) iPad, is nearly identical when it comes to software, and though improved, closely related on the hardware side as well. With a 9.7-inch, 1024 x 768 display, the general size and shape of the device has remained the same, and though inside there's a new dual core A5 CPU, more memory, and a pair of new cameras, most of the iPad 2's changes are cosmetic. Still, the previous tablet soared far above most of its competitors when it came to the quality of both the hardware (if not its raw specs) and its software selection -- something Apple still stands head and shoulders over its adversaries on. So this new model, a thinner, sleeker, faster variant of the original may not be breaking lots of new ground, but it's already at the front of the pack. But is the iPad 2 worth an upgrade for those that took the plunge on the first generation? More importantly, does the device have what it takes to bring new owners into the fold? Those questions -- and more -- are all about to be answered in the full Engadget review, so read on! 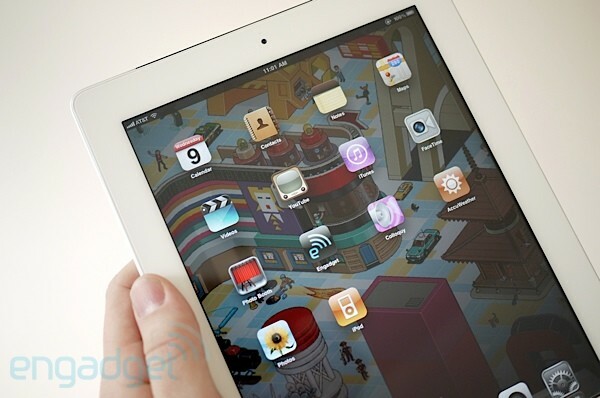 iPad 2 review originally appeared on Engadget on Wed, 09 Mar 2011 21:01:00 EDT. Please see our terms for use of feeds. 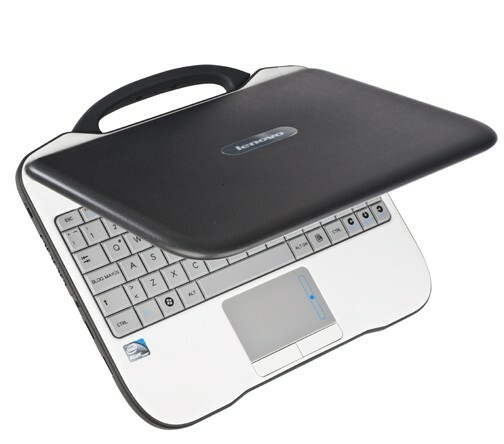 Thinking that netbook up there looks exactly like Intel's latest Classmate PC with a Lenovo sticker smacked on? Well, you'd be entirely correct. Lenovo and Intel have teamed up to bring out the Classmate+, which is indeed just a rebadged Classmate PC (or Intel Learning Series reference design). The 10.1-inch netbook doesn't have Intel's fresh Atom N570 processor, but it has all the other netbook essentials, including an Atom N455 CPU, Windows 7, 1GB of RAM, a 1.3 megapixel camera, WiFi, and three- and six-cell battery options. However, like most of the other Classmate PCs, the Classmate+ won't be available directly to consumers -- they will be sold in bulk to educational institutions or agencies, primarily in the developing world. And the Classmate+ is off to a great start -- 158,000 are already set to be deployed this spring in Buenos Aires. See kids, netbooks are far from dead! Hit the break for the full press release / specs and the gallery below for a few more images of the lunch box-like laptop. Intel and Lenovo release the Classmate+ PC for the kids originally appeared on Engadget on Thu, 10 Mar 2011 00:01:00 EDT. Please see our terms for use of feeds. Before last week, we'd gone well over a year without discussing solid state storage purveyors Fusion-io -- and their extremely expensive and expeditious flash drives -- but things seem to have been ticking along just fine behind the scenes. While the company's unlikely to have sold many ioDrives to good old Joe Consumer, its upcoming IPO application features an impressive list of corporate clients, highlighted by Facebook, its biggest customer, IBM, HP, and Credit Suisse -- the latter using Fusion-io technology to speed up the mathematical alchemy of making money where there was none before. Taken together with strategic investments from Samsung and Dell, these deals paint a rosy outlook for the Woz-employing startup, however it's worth noting that profitability is still a decent way away. Fusion-io's rapid growth is costing it more than it's making at the moment, which is most likely to have catalyzed its current decision to go public and collect its biggest round of investments yet. Let's hope the investor prospectus includes a forecast for when things like the ioXtreme might actually become affordable to non-millionaires, eh? Fusion- io IPO filing discloses list of prestigious clients, led by Facebook originally appeared on Engadget on Thu, 10 Mar 2011 05:25:00 EDT. Please see our terms for use of feeds. PAX East 2011, which kicks off tomorrow, is widely expected to finally deliver a dual-GPU solution from NVIDIA's Fermi family of graphics chips, a PCI Express-saturating single-card workhorse to be known as the GTX 590. While we wait for its arrival, however, here's a sentimental look back upon 2010 and another little prototype that NVIDIA had kicking around its labs back then. Emerging over in a Chinese forum, this dual-GPU board features two GF104 chips (the same that made the GTX 460 such a winner) and a snow white PCB paintjob that makes it look utterly irresistible. We're loving the four DVI outputs and, just like you, have no idea why this card never came out, but that shouldn't obstruct the enjoyment of looking at the darn thing. More pics after the break. 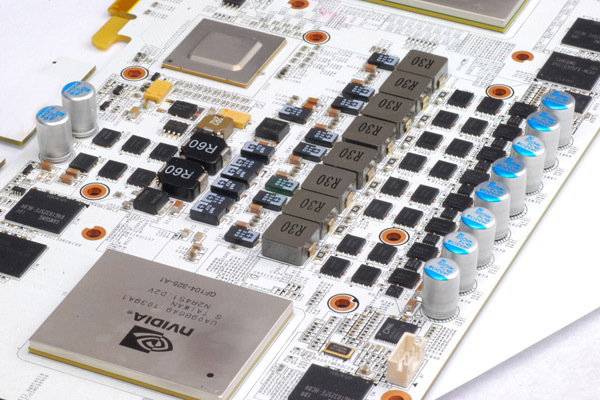 Visualized: NVIDIA's dual-Fermi card that never was originally appeared on Engadget on Thu, 10 Mar 2011 06:04:00 EDT. Please see our terms for use of feeds. We've seen a few dedicated "life-logging" devices that let you record your every waking moment, but why spend a couple of hundred bucks on something when you're already carrying around a perfectly capable smartphone? 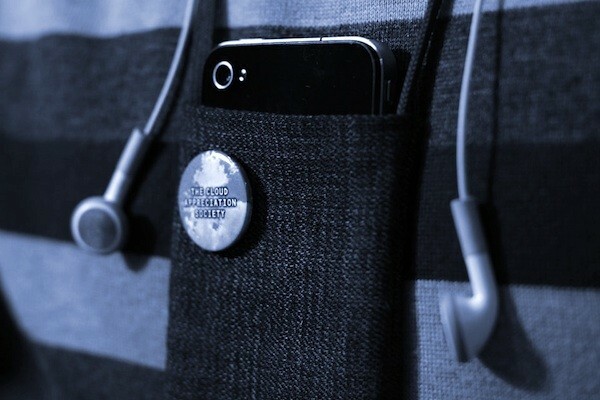 That's the thinking of the folks behind the Lifelapse iPhone app which, like the Vicon Revue we've tested, promises to simply record a time-lapse video of your entire day -- they've even developed a "LifePouch" so you can conveniently wear your iPhone around your neck (no iPad version just yet). Unfortunately, the developers aren't offer a peek at the app itself just yet, but the are now accepting applications for those that wish to participate in the beta. Lifelapse app promises to turn your iPhone into a life-logger originally appeared on Engadget on Thu, 10 Mar 2011 07:19:00 EDT. Please see our terms for use of feeds. 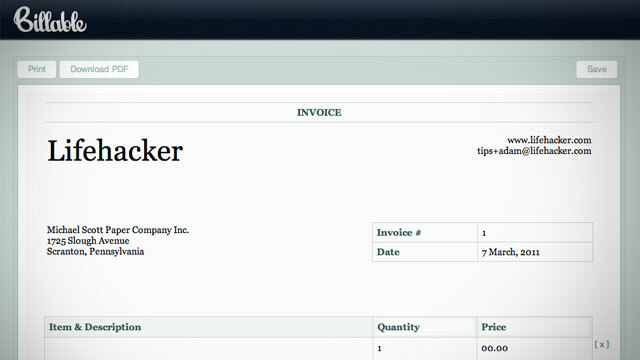 If you need to create an invoice fast, Billable wants to help you out. All you need to do is visit the Billable site, edit the invoice template, and print. Billable is ridiculously simple. When you visit the Billable website you'll be able to click in any field and start typing. Once you're done entering all your info, you can print your invoice or save it as a PDF. 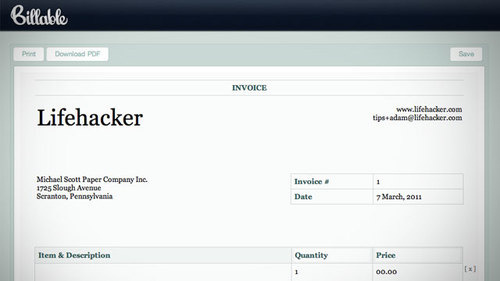 Pretty simple, and definitely useful if you ever need to create a quick invoice. Samsung hasn't been entirely shy about its forthcoming 8.9-inch tablet, though Mr. Blurrycam seems to be having some trouble getting on a plane in Seoul. Fortunately for us, today the Korean giant decided to give us mere mortals a sneak peek at said device, and it sure looks promising -- as you can see above, the bulge seems to imply that the tablet's general thickness almost matches the headphone jack's height. If true, this would put Samsung's 8.9-incher head to head with Apple's 8.8mm thick iPad 2 in a fitness contest. Bring on March 22nd! 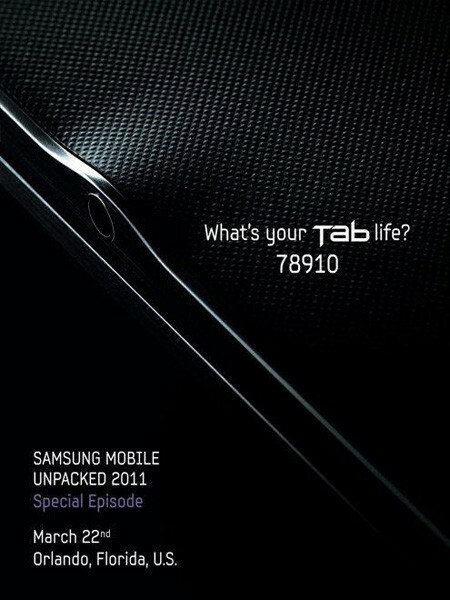 Samsung's latest 8.9-inch Galaxy Tab teaser hints impressive slimness originally appeared on Engadget on Wed, 09 Mar 2011 00:58:00 EDT. Please see our terms for use of feeds. Remote controlling your personal desktop from an iPad is one thing, but today VMware is offering something a little heftier -- a streamlined app to connect to enterprise-class virtual desktops. Like Citrix Receiver, the idea is that you'll get the iPad client for free, and hopefully pay to have the cloud computers served up, but instead of streamlining applications for tablet use, VMware's app hands you customizable PC-like controls. There's a handy-looking virtual touchpad you can use for fine control over the mouse cursor if your fingers prove too pointy, a set of Windows shortcut keys at the top of the virtual keyboard, multi-finger gestures and more -- but why not just watch the video after the break to see what's in store? VMware View brings virtual desktops to iPad with touchscreen-friendly controls (video) originally appeared on Engadget on Wed, 09 Mar 2011 08:00:00 EDT. Please see our terms for use of feeds. Imagine, if you will, business travelers gallivanting across the globe with nary a care in the world -- secure in the fact that should they lose their laptop by hook or by crook, they can disable it with a simple text message. Well, the dream is now a reality as Intel has put its third-gen vPro technology in Sandy Bridge Core i5 and i7 business chips, giving users the ability to lock down and reactivate a PC remotely via SMS. Not exactly a fresh idea, but nice to see it passed on to more modern chipsets. To further simplify the lives of IT professionals, the new version of vPro also has an encryption login requirement upon awakening from sleep mode, 1920 x 1200 resolution remote management, and host-based configuration to allow the set up of countless PCs at once. Of course, that assumes your employer's willing to pony up for Chipzilla's new gear -- the economic downturn's almost over, right? Intel brings vPro to Sandy Bridge CPUs, makes losing your work laptop slightly less painful originally appeared on Engadget on Tue, 08 Mar 2011 20:54:00 EDT. Please see our terms for use of feeds. We've seen a few docking stations 'round these parts that use the venerable DisplayLink technology to great effect, but nothing quite like this before. 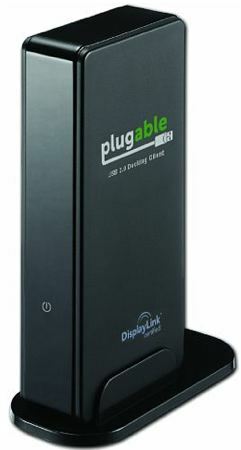 Plugable's DC-125 USB 2.0 Docking Client connects to your PC allows you to connect your display, speakers, keyboard, and mouse via one USB port -- small potatoes, right? Well, if said PC has a compatible multi-user OS (such as Windows Multipoint Server or Userful Multiseat Linux) you can daisy chain docks to add several terminals to the setup. Terminals! Now you can relive the dark, backwards days when you had to go to the college computer lab to get any work done -- in the comfort of your own home. Available now for $65 a pop. Get a closer look after the break. Plugable DC-125 dock turns your solitary PC into a multiple workstation powerhouse (video) originally appeared on Engadget on Tue, 08 Mar 2011 14:37:00 EDT. Please see our terms for use of feeds. Could this pair of relatively normal looking glasses "revolutionize" video on social networking sites? That's the bold claim made by the folks behind these so-called "Eyez," at least, which unsurprisingly seem to be filled more with vapor than any actual hardware at the moment. If the company is to be believed, however, they'll eventually pack a built-in camera that's able to record 1080p video, 16GB of flash memory, WiFi and Bluetooth connectivity, and a 350 mAh lithium ion battery that promises three hours of recording on a charge. 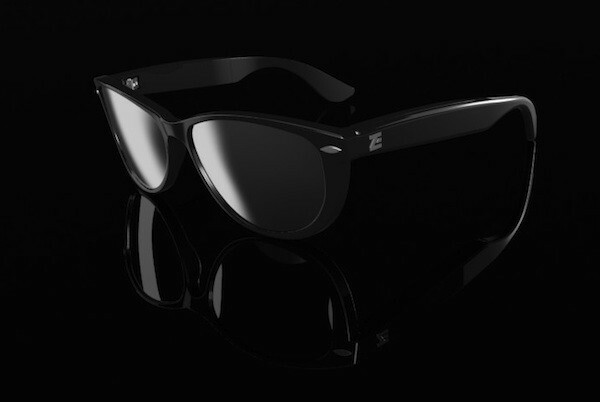 You'll even apparently be able to pair the glasses with your phone via Bluetooth, and automatically upload or even stream live video to various social networking sites via an app. Of course, there's not even so much as a hint of a release date or a price, nor is there any evidence that an actual prototype even exists. There is, however, dramatic music on a Flash-heavy website -- and that counts for something, right? Eyez video recording glasses promise to 'revolutionize' social networking originally appeared on Engadget on Tue, 08 Mar 2011 15:24:00 EDT. Please see our terms for use of feeds.